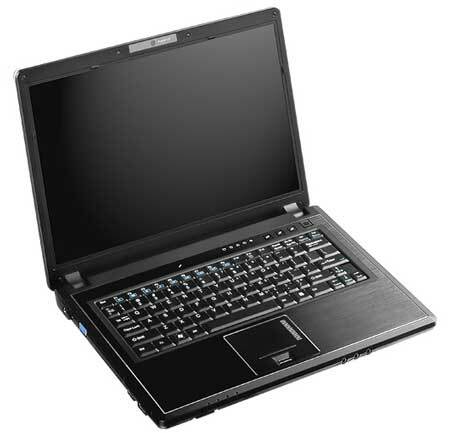 The Portable One SX-N7350 is a well built 13.3" notebook that is best compared to similarly sized business models. It has a simple plastic exterior that holds up very well against scratches and other blemishes, and the sturdy screen cover protects the display from any external impacts. The performance from our configuration was excellent when compared to 12" business notebooks, but not as great when you compare its 3D performance to 13.3" consumer notebooks which have dedicated graphics. The price is high, starting at 1,000, with our configuration reaching $1,300 with its upgrades. For business users it would perform well and with its good looking screen, be perfect for working on documents during the day and enjoying movies at night. Portable One: US-American laptop shop which sells an own brand es well as other laptop brands.